You are browsing the archive for OK Finland. The MyData initiative was recently awarded the NGI Culture Award (European commission’s “Next Generation Internet” -initiative) as one of the most impactful European initiatives shaping a new culture around Next Generation Internet. The purpose of MyData Global is to empower individuals by improving their right to self-determination regarding their personal data. The human-centric paradigm aims at a fair, sustainable, and prosperous digital society, where the sharing of personal data is based on trust as well as a balanced and fair relationship between individuals and organisations. “I am honored to be elected for the board of an organisation that I consider very important. Not only do I consider the principles and mindset of MyData to be a fundamental human right, I also see it as a keystone for sustainability in the digital world and beyond by empowering people to cooperate on a more enlightened level”, says board member Berit Skjernaa, senior security and privacy specialist at Alexandra Institute in Aarhus, Denmark, and coordinator of MyData activities in Denmark. The fair use of personal data is one of the defining issues of tomorrow’s internet. AI and other technological developments rely on data generated by and about individuals, and MyData provides a paradigm for guiding those in a way that is based on trust and benefits people. “MyData is a necessity in our information society, and we – as the MyData community – have the unique opportunity to move personal data from protection to empowerment, and MyData from a concept to THE new paradigm,” rejoices board member Sarah Medjek, researcher and project coordinator at the think and do that FING in France. Application for membership is open to all individuals and organisations who support the mission of MyData Global. Bonus: Are you or do you know a project manager for MyData 2019 conference? MyData Global are looking for a full-time project manager for the MyData 2019 conference. They wish to find someone who shares the values they work for and which guide the work. It’s a great opportunity to help make a difference in the world and shape the future of the internet and society. This is a guest post explaining the focus of the MyData conference in Tallinn and Helsinki later this month. By a famous writing tip, you should always start texts with ‘why?’. Here we are taking that tip, and we actually find many ways to answer the big Why. So, Why MyData 2017? 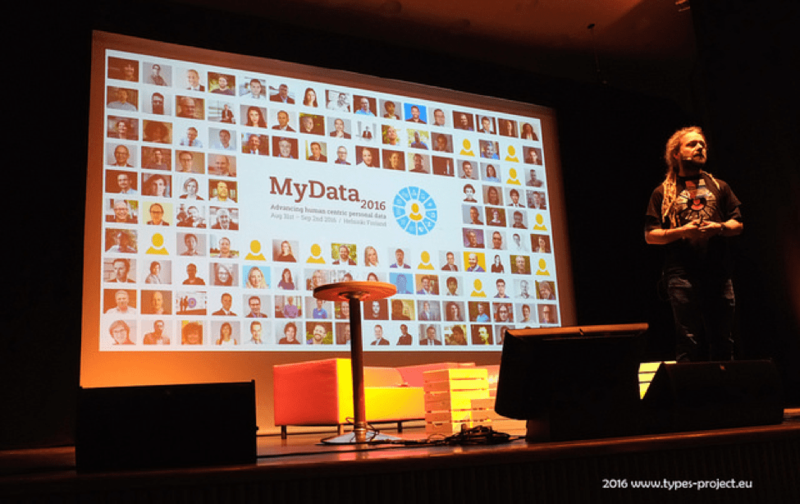 Did you get your data after MyData 2016 conference? No, you did not. There is lots of work to be done, and we need all the companies, governments, individuals and NGO’s on board on Aug 31-Sep 1 in Tallinn and Helsinki. When else would you meet the other over 800 friends at once? Because no. 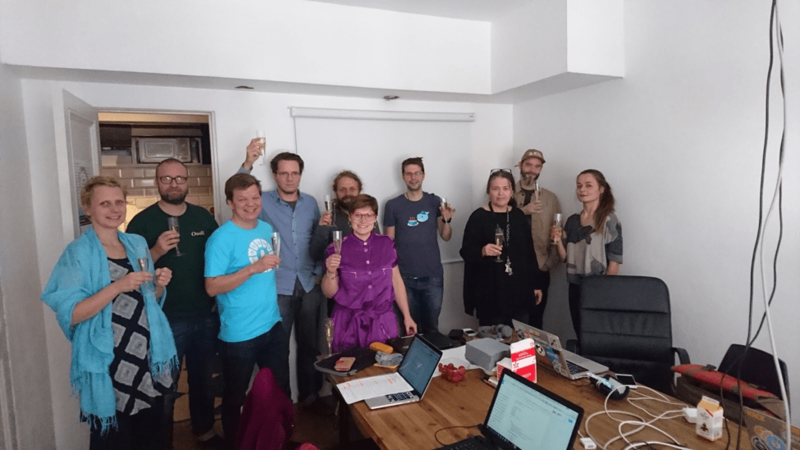 1: The work did not stop after MyData 2016 The organizers Fing, Aalto University, Open Knowledge Finland, and Tallinn University have been working on the topic also after the conference. Fing continues their MesInfos project, started in 2012, which goes to its second phase in 2017: implementing the MyData approach in France with a long-term pilot involving big corporations, public actors, testers and a platform. Aalto University is the home base of human-centric personal data research in Finland. Many Helsinki-based pieces of research contribute their academic skills to the conference’s Academic workshops. Open Knowledge Finland, apart from giving the conference an organizational kick also fosters a project researching MyData implementation in Finnish public sector, of which we will hear in the conference too. Tallinn University, as the newest addition to the group of organizers, will host the conference day in Tallinn to set the base for and inspire MyData initiatives in Estonian companies, public sector, and academic domain. In addition to the obvious ones, multiple MyData inspired companies to continue on their own. Work continues for example in Alliance meetings, and in some cases, there are people working from the bottom up and acting as change makers in their organization. MyData 2016 went extremely well, 95 % of the feedback was positive, and the complaints were related to organizational issues like the positioning of the knives during lunch time. Total individual visitor count was 670 from 24 countries. All this was for (at the time) niche conference, organized for the first time by a team mainly of part time workers. The key to success was the people who came in offering their insights as presenters or their talents in customer care as volunteers. MyData 2017 is, even more, community driven than the year before – again a big bunch of devoted presenters, and the volunteers have been working already since March in weekly meetings, talkoot. Because no. 2: The Community did not stop existing – it started to grow MyData gained momentum in 2016 – the MyData White paper is mentioned in a ‘Staff Working Document on the free flow of data and emerging issues of the European data economy’, on pages 24-25. The white paper is also now translated from Finnish to English and Portuguese. Internationally, multiple Local Hubs have been founded this year – of which you hear more about in the Global track of the conference – and a MyData Symposium was held in Japan earlier this year. The PIMS (Personal Information Management Systems) community, who met for the fourth time during the 2016 conference, has been requesting more established community around the topic. “Building a global community and sharing ideas” is one goal of MyData 2017, and as a very concrete action, the conference organizing team and PIMS community have agreed to merge their efforts under the umbrella name of MyData. The MyData Global Network Founding Members are reviewing the Declaration of MyData Principles to be presented during MyData 2017. Next round table meeting for the MyData Global Network will be held in Aarhus in November 23.–24. 2017. Open Knowledge Estonia was founded after last year’s conference. Since MyData was nurtured into its current form inside the Open Knowledge movement, where Open Knowledge Finland still plays the biggest role, MyData people feel very close to other Open Knowledge chapters. See for yourself, how nicely Rufus Pollock explains in this video from MyData 2016 how Open Data and MyData are related. Because no. 3: Estonians are estonishing “Why Tallinn then?” is a question we hear a lot. The closeness of the two cities, also sometimes jointly called Talsinki, makes the choice very natural to the Finns and Estonians, but might seem weird looking from outside. Estonia holds the Presidency of the Council of the EU in the second part of 2017. In an e-Estonia, home of the infamous e-residency, MyData fits naturally in the pool of ideas to be tossed around during that period. Now, having the ‘Free movement of data’ as the fifth freedom within the European Union, in addition to goods, capital, service, and people, has been suggested by Estonians, and MyData way of thinking is a crucial part to advance that. Estonia and Finland co-operate in developing X-road, a data exchange layer for national information systems, between the two countries. In 2017, the Nordic Institute for Interoperability (NIIS) was founded to advance the X-road in other countries as well. Finnish population registry center and their digitalized services esuomi.fi is the main partner of the conference in 2017 Estonia and Finland both as small countries are very good places to test new ideas. Both in Helsinki and Tallinn, we now have ongoing ‘MyData Alliance’ meetups for companies and public organizations who want to advance MyData in their organizations. A goal of MyData in general, “we want to make Finland the Moomin Valley of personal data” will be expanded to “we want to make Finland and Estonia the Moomin Valley of personal data”. Comments Off on Why MyData 2017? MyData & GDPR – new digital rights coming up! MyData 2017 Conference is being prepared as we speak. Programme team of over 40 people is working night and day (no exaggeration, we operate from various time zones) to make the conference happen. The event, held in Helsinki and Tallinn on Aug 30 – Sep 1, will address various aspects of MyData and digital human rights – GDPR, Ethics, Consent, interoperability, and privacy.Read more details here. The program was just published live today [May 3rd], and early-bird tickets sales just started! Get your ticket and subscribe to the low-volume newsletter at http://mydata2017.org/! If you would like to help with hands-on organising or with creative planning tasks, the core organising team hosts weekly Talkoot events – read more and please join us here. We would especially like to have OK chapters as communication hubs so as to get participants and volunteers for the conference. to get participants and program proposals for the conference. Last year we had visitors from 24 countries – can we do even more this year?! We award volunteers with free access to the conference – so don’t miss this opportunity! This year’s main conference partner is the Finnish Population Register Centre. As an institution, they hold the very core personal data about every Finn; making them a very important partner. Population Register Centre is also working closely with the Ministry of Finance on a MyData-inspired pilot project and the necessary mechanisms that are needed to include MyData ideology in their Suomi.fi services. Contact the MyData 2017 team at hello@mydata.org. P.S. If you’re wondering about the relation of MyData and open data, check out Rufus Pollock’s excellent talk at MyData 2016: and take a peek at OK Japan, who are organising a 400-person side event in May! The 3rd Hack4FI – Hack your heritage brings together artists, programmers, designers, humanists, educators and others interested in digital cultural heritage and multi-professional collaboration between 5th – 7th May 2017 at YLE (Finnish broadcasting corporation) to create new cultural works, services and concepts in an international and inspirational surroundings. Participants can explore with virtual technology, remix archival films, travel through time (!) by choosing one of the hosted tracks or choose their own directions and do with the material whatever they like! Hack4FI 2017 hackathon will be organised in co-operation with AvoinGlam network and YLE whose premises will serve as the venue for the event together with partners in the GLAM sector. We expect some 80-100 hackers again! Follow #Hack4FI//hack4.fi or contact Sanna [sanna.marttila@okf.fi] to get involved and for information. What does democracy look like in ten years? How can we increase people’s participation? Join Democracyhack to work on solutions and provoke discussion around democracy, participation and politics in future Finland! 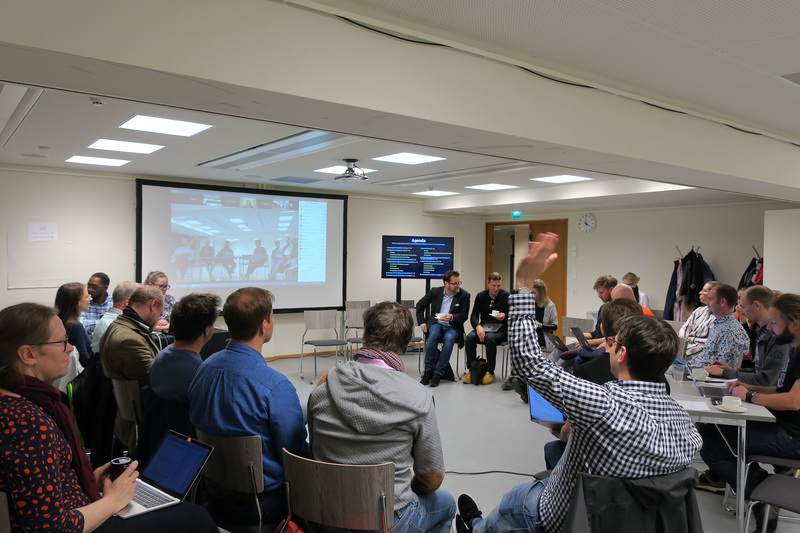 Open knowledge Finland, in conjunction with the Tulevaisuuden valtiopäivät event (Future Parliament) and the Finnish Independence Fund – Sitra are organising a democracy seminar and hackathon Democracyhack from 4th – 5th May. The hackathon is open to all, even non-Finnish speakers participants! Contact the Democracyhack team [democracyhack@okf.fi] for more information. OKFI just received a grant from The Helsingin Sanomat Foundation to work on the freedom of information. Our first task is to open the data on meetings with Finnish civil servants and members of Parliament so they can be used by journalists, researchers, activists and other non-governmental organisations. The Parliamentary visitors’ log was classified as public information by the Supreme Administrative Court on 20.12.2016, in a case, the Open Ministry took to court. The decision is crucial in helping to identify the extent of lobbying towards Parliament – and later, in other ministries, public bodies and authorities. The next step will be creating transparency in the comprehensive and systematic collection of data through freedom of information requests, as well creating a database out of its responses. We are working together with the Data Protection Ombudsman to determine which data are not publishable (for example, family members or other representatives will not be published). Some personal guest information will be published after appropriately anonymizing the data (e.g. for statistical purposes). The data is published using the open CC-BY 4.0 license, so scientists, journalists and others can use it. Our goal is to produce data visualisations, that concisely indicate connections between the visitors and the drafting of laws. We also aim to produce a short report about practical experiences and challenges in the systematic gathering of information based on freedom of information requests. Citizen science has most notably, been used as a method for creating observational data for life science research. Against the backdrop of current technological advancement, we need to create Citizen Science v 2.0 – open, diverse, responsible, dialogic and academically excellent. In terms of outcomes, we envision a set of concrete recommendations for national stakeholders; we will create understanding, awareness and discussion about citizen science as a scientific method and a community; and we will catalyse a research agenda for a new kind of open citizen science. Contact: heidi.laine@okf.fi for more information. You can also watch a youtube video about the project here [in Finnish]: For more information about the Citizen Science, see The European Citizen Science Association (ECSA) website. Open Knowledge Finland delivered its first two commissioned projects for the Government’s analysis, assessment and research activities, coordinated by the Prime Minister’s Office. Together with ETLA (Research Institute of the Finnish Economy), we implemented a project called “cost-effective utilisation of open data”. The project’s goal was to better understand and measure the impacts of open data and the use of the basic public registers. We studied the relationship between the use of open data in companies and their innovation production and financial success. Furthermore, we proposed 10 concrete means of increasing the impact of open data in our society. Read the report here. In partnership with the National Institute of Health and Welfare (THL) and Oxford Research, we implemented the Yhtäköyttä project (Common Knowledge Practices for Research and Decision Making). The project studied how to support evidence-based decision-making with wide participation. The objective was to design a systematic method with roles, practices, information structures and IT infrastructure that support each other. Read more about it here. Unfortunately, information on both projects is not available in English. MyData Muutosvoimana (“MyData as a force of change”) is a new project launched under the stewardship of Aleksi Knuutila. The project seeks to create modes of operation for opening up Finnish public administration data in accordance with MyData principles. Stuff we are working on: Creative Commons, Open Data Business cases, the impact of open data…and much more. For a comprehensive insight of Open Knowledge Finland, kindly have a look at http://www.Okf.fi/general. The start of 2017 saw a few organisational shifts and rule changes in OKFI to allow for scaling and more effective operations for the future. We will now organise two general meetings per year. We also held our autumn meeting in December and voted for the new board to lead our efforts in 2017 – making this the second time within a year the board was elected :)! Previous vice chairman Mika Honkanen took the lead as of January 1, 2017. Best wishes to Mika! Other re-elected previous board members are Susanna Ånäs, Liisi Soroush, Jessica Parland-von Essen, Raoul Plommer, Mikael Seppälä. And, nice to have two new members of the board, Aki Saariaho and Oskari Lappalainen! The long-term chairman Antti Jogi Poikola stepped aside as the lead – but thankfully continues as the treasurer (as an external advisor to the board) – and of course as one of the leading masterminds and visionaries on MyData. Congratulations to all! New employees – new office! Viivi Lähteenoja started as MyData 2017 producer (1-10/2017) and Aleksi Knuutila started as project manager for MyData Muutosvoimana (1-9/2017). Teemu continues as full-time (executive director), just starting his third year. Sanna Marttila continues as part-time project manager (Creative Commons support -project, Hack4FI 2017 -project). Pia Adibe’s contract was extended, as she continues to steer our HR and Finance management. Liisi Soroush, Mikael Seppälä, Aki Saariaho, Raimo Muurinen, Kari Hintikka and Salla Thure are also employed on a 1-6 month part-time jobs. We have submitted over 10 different project proposals this year – so we sure hope some funding is coming our way. New ideas always welcome – get in touch with teemu.ropponen@okf.fi We also just relocated! Our new office is at Maria 0-1 startup centre, not far from the centre of Helsinki – a former hospital that now houses well over 300 people. It is exciting to be part of the Maria 01 community, where every day is a buzz! Rebooting nations – what would states and democracy look like if we invented them today? In a series of democracy and Democracyhack-related posts, this one looks at what we in welfare states could learn from the libertarian, tech-loving anarcho-capitalists of Liberland! Why Design for Data? Design for Data is one of our topics at Open Knowledge Finland. If interested, join the Design for Data Facebook group. We have submitted over 10 different project proposals, including work with OK Germany and OK Greece – so we sure hope some exciting cross-border work is coming our way. New ideas for collaboration always welcome – get in touch! For any further information on OKFI activities, kindly contact raoul.plommer@okf.fi (international activities contact point) and/or teemu.ropponen@okf.fi (Executive Director). Follow OKFI at @okffi (https://twitter.com/OKFFI). Comments Off on MyData 2017, Hack your heritage and other updates from Open Knowledge Finland. This piece is written by Jaakko Korhonen and Joonas Pesonen of Open Knowledge Finland At the end of October a team using OpenSpending tools held a pitch for high-ranking Finnish Government officials in “Hack the Budget 2016,” a competition organised by Open Knowledge Finland (OKFFI) and the Finnish Ministry of Finance. For the hack, the competition team used OpenSpending to create visualizations with fiscal data from the Ministry of Finance’s website. Our goal was to harmonise Finnish Government expenditure data from 2002-2015 into a Fiscal Data Package, an internationally comparable format. We were proposing that combined datasets enable exploration of alternative costs from budget data for citizens, NGOs, businesses, party-political organisations and public officials. See the whole dataset here: http://next.openspending.org/viewer/. Our proposal to use OpenSpending to present government fiscal data was selected as the winner of the hack. We are going to work with the government in the near future to implement OpenSpending in Finland. Also, we plan to train a number of users to create fiscal packages and publish them. Harmonised data model. Publishing data in a nationally harmonised data model would enable calculating the alternate cost and project impact analysis already when planning projects. Technology is now available. Compatible model for publishing data packages enables pursuing real-time budgetary situational awareness. Data package model can be taken into use with marginal cost in municipalities, government offices and in NGOs, enabling leadership of funded operations with information, and more transparent funding decisions. Frictionless Data is better than Excel because different applications can be run on top of it very flexibly. A short staff training suffices. 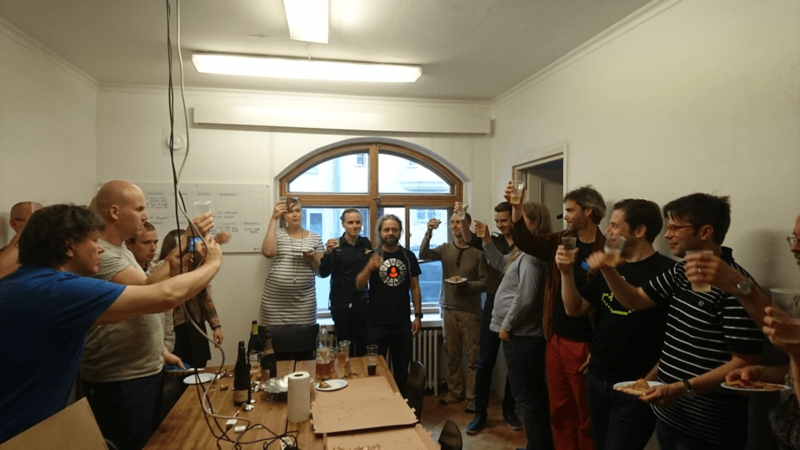 The prize for winning the hack was qualifying for Ultrahack, where the team will continue to develop on the idea and make use of OpenSpending tools. We have initiated discussions with the Ministry of Finance in Finland and are also scheduled to present the work to the Minister of Finance in Finland. This blog post is part of our summer series featuring chapter updates from across the Open Knowledge Network and was written by the team of Open Knowledge Finland. Summer is a great time in Finland. It’s so sunny that everyone seems to be on holiday! However, there was no time for extended holidays at Open Knowledge Finland – we had a very busy summer. Here is our update for the Network, with key news from the last few months. Open Knowledge Finland has a new board! One of the most exciting changes this year was our annual meeting. OKFFI held its annual meeting on Monday May 30 at the Helsinki office. Nearly 40 people (well over 10% of members) attended face-to-face or online – quite a good number, in fact! Antti ‘Jogi’ Poikola was unanimously selected to continue as the chairman. The new board consists of 3 old members (Jogi, as well as Lilli Linkola and Mika Honkanen) and no less than 5 new members – Susanna Ånäs, Liisi Soroush, Raoul Plommer, Mikael Seppälä and Jessica Parland-von Essen. In its first meeting, each board member was assigned a primary and secondary role as follows: Antti Poikola – chairman and web communications Mika Honkanen – vice chairman and 2nd treasurer Lilli Linkola – secretary and working group contact Mikael Seppälä – treasurer and working group contact Raoul Plommer – web communications and tools and international relations Susanna Ånäs – internal communications and international relations Liisi Soroush – collaboration networks and member secretary Jessica Parland-von Essen – external communications and collaboration networks With the new board, it is nice to see the gender split is at 50-50. It is also a great sign that there are a lot of people who want to apply for the board (13 candidates) and that we have great new people aboard to help steer the community. Congratulations and good luck to the board! 2016 is the year of MyData. Open Knowledge Finland is all about the free flow of information. Open data, open knowledge, open collaboration – and, we believe this also includes free (user-controlled) flow of personal information. The MyData movement encompasses concepts and tools not only to build more transparent societies – but also to develop effective services and create new business in the digital domain. Actions around the MyData conceptual framework represents the BIGGEST concentration of effort for us this year. In particular, Open Knowledge Finland’s key actions for the fall of 2016 were geared towards the MyData 2016 conference (31 Aug – 2 Sep) and the Ultrahack MyData hackathon running in parallel with the conference. We had some 700 visitors in total – over 500 conference visitors, over 100 hackers or hack visitors, over 30 partner organisations involved. Amazingly, we had 140+ speakers, in 40+ sessions. Visitors came from about 30 countries. The feedback has been excellent – a great results for a first-timer conference! Check out the event images on the Flickr pool: https://www.flickr.com/groups/mydata2016. Conference video archive is available at http://goo.gl/gV9r4c . Please stay tuned to www.mydata2016.org and @mydata2016 on Twitter. More wrap-ups and posts to follow. And yes, MyData 2017 is on the drawing board! Follow @MyData2017 to keep up on the plans for next year! During the autumn, we will also be having an extra general meeting and plan to change our rules to better accommodate for scaling. Stay tuned – more to follow! Want to get in touch? Contact executive director Teemu Ropponen, or international collaboration team, board members Raoul Plommer & Susanna Ånä. Indeed, the theme of MyData so far is freedom. The freedom to own our data. Freedom however, is a very complicated subject that has been subjected to so many arguments, interpretations and even wars. I will avoid the more complicated philosophy and dive instead into a more daily life example. 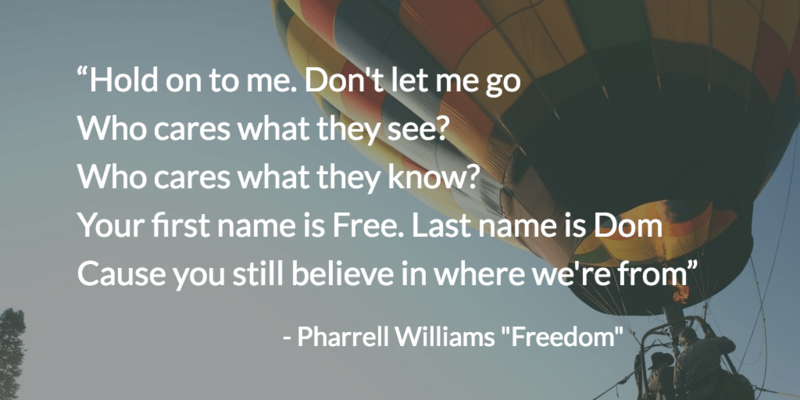 In the pop song quoted above, freedom can be understood as being carefree – “Who cares what they see and what they know?” Taking it to the MyData context, are we granting freedom to others to do whatever they want with our data and information because we trust them, or just because we don’t care? MyData speakers have looked at the issue of freedom from a different angle. Taavi Kotka, Estonia CIO, claims that the fifth freedom of the EU should be the freedom of Data. People, explains Kotka, should have the choice of what can be done with their data. They should know and understand the possibilities that sharing the data can bring (for example, like better and easier services across the EU countries), and the threat that this can entail, like misuses of their data. For that we need pioneer regulators. For that we need the private sector and civil society to pressure and showcase what we can do with data and shift change accordingly. This shifting in regulations and thinking should also be accepted by government. It was refreshing to hear the Finnish Minister of Transport and Communications, Anne Berner saying that government should not be afraid of disruption, but accept disruption and be disruptive themselves. MyData is disruptive in the sense that it is challenging the norms of the current data storage and use, and thinking outside of the box can help governments to move forward and at the end of the day, to supply better services for citizens. Another topic that has been raised up repeatedly is the digital self and the idea that data is a stepping stone to a better society. The question is then, that in order to build a good society do we need to understand our private data? Maybe understanding data is not a good enough end goal? Maybe a better framing would be to create information and knowledge from the data? I was excited to see a project that can help consumers to evaluate and decide who to trust: Ranking Digital Rights. Ranking Digital Rights looks at big tech corporations and ranks their public commitments and disclosed policies affecting users’ freedom of expression and privacy. This is a very good tool for discussion and advocacy on these topics. Ranking Digital Rights looks at big tech corporations and ranks their public commitments and disclosed policies affecting users’ freedom of expression and privacy. We want openness for public data – public information that could be made available to anyone. And we want access for every person to their own personal data…both are about empowering people to access information. Comments Off on Freedom to control MyData: Access to personal data as a step towards solving wider social issues.